1. School. 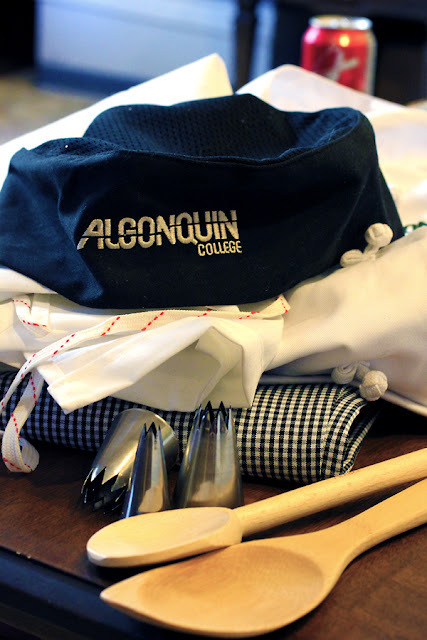 I didn't want to mention it earlier, in case I somehow jinxed it, but I am attending Algonquin College for Baking and Pastry Arts. It's official—I started last Thursday. So far, I love it. Though I can't taste anything, since it has loads of sugar in it, I'm excited to learn new techniques and about the science behind baking. I made pie for the first time today—apple and pecan. 2. I have a new job. Not much of an excuse, but it's something new. and rolled tea biscuits with cinnamon and sugar. Sorry about all the sugar, but the camera was too exciting. 4. I was working on a new banner. What do you think? You're apple pie is so cute! And I really want pecan pie now. That's so exciting that you finally got a new camera! That means you must update ALL THE TIME NOW. I like your pictures, especially the one of the bread rolls! I also love your new banner! Did you draw it all yourself and design the type? The font is lovely!